An international Management Trainer,Consultant with wealth of experience in sales and marketing management,men management,resource management, training, innovative training methodologies, PR activities, publications, administration etc. The value added attributes along with the personality makes him a clients and employers delight.You can read his articles, case studies, research papers numbering 600(as on 20/10/2014),published in various national and international publications by mailing him. Why India Need a Healthcare Regulatory Authority? Why India needs a Healthcare Regulator? India, as the leadership and mainstream media claims is on the cusp of a metamorphosis from an under-developed to that of an emerging nation. While this is music to any citizen or People of Indian Origin trying to hoist the nationalistic feelings and fervor, all around, one need to see into the holistic state of affairs from a realistic point of view. Healthcare happens to be the backbone and a necessity for the masses and a country in order to be classified as a developed or even an emerging nation ought to put this sector in order, before moving into other verticals, so as to be labelled as a true emerging nation! Just a few sky scrapers across cities, minuscule portion of the citizen being millionaire, and handful few multinationals bagging international projects or a few brands here and there on the global marketplace, does not make the country an emerging nation, to rub shoulders with their global peers. India definitely has improved by leaps and bounds when it comes to the healthcare sector and there are lot of talks going around of India being the destination for medical tourism. Some hospitals, notably, the corporate healthcare players are also able to rope in substantial number of foreign patients from South Asia and Middle-east, but does that really mean the sector has got the real facelift, in terms of quality and quantity, resulting in the citizens getting quality treatment from private and public sector healthcare players at the right cost? On a personal note, yours truly who have worked in the pharmaceutical sector and had interacted closely with the healthcare players of all forms had seen it firsthand. The personal dealings with numerous small, medium and large healthcare players, both from the private and public sectors in Eastern, North-eastern, Southern, Western and Central Indian market, while seeking treatment of family members and acquaintances provided with instances galore that showcased the suffering a common Indian faces in the absence of a regulator in this vital sector. Add to it the high level of ignorance on the part of the patient or his dependents and you can very well understand the demi-god status given to the medicos and the paramedics. Probing a doctor deep by asking questions often puts some consultant or super-specialties look upon the patient or his dependents with creased foreheads and the moment, jargons are added, there is a common response coming out, are you a doctor? Moreover, at times these professionals think they should not be quizzed about the treatment or on allied areas, just because a layman is not supposed to understand the intricacies of medical science. The perfect topping in this quagmire happens to be the arrogant management of some healthcare players who are leveraging the poor state of affairs in the sector, the absence of a regulatory authority to their own benefit even if it means the end result for the end-user or the customer or the patient proves fatal! There are handful few from these suffering lot who knock the doors of the state governments or the central government, responsible for overseeing the affairs of the health of the citizens and the functioning of the sector, when things go wrong. Thanks to the bottle-necks and red tapes existing in the sector, such cases most of the time fall on deaf ears or partially listening ears, unless of course you are a VVIP or the matter has resonated big time in the national print and electronic media. The presence of a vibrant media though helps poor sufferer to some extent as gross negligence culminating into death or financial and mental harassment get published and circulated through social media and suddenly the so called regulators at the state and the government level turn proactive. However, this momentum continues only till the news is part of the headline and once it fades, so does the fate of the sufferer and the cascade of human suffering of the common India goes back to square one. Yours truly has handled this situation that resulted in the death of the patient owing to medical negligence, followed by unethical and unexplained billing by the hospital and then to top it up an arrogant hospital management displaying an attitude of caring a damn, till they have been rattled after the issues were escalated to the state and the central government. Periodical follow-up through emails, tweets to high profile ministers and bureaucrats at the state and the central level, political leaders, media are making the necessary noise, even though the general observation is that the mails are being forwarded to the right authorities with the customary messages, “For your necessary action” that has been continuing till the mid of December 2017, right from August 2017, when the showdown started with the death of the patient! The major reason for the case being active with the regulator is the proactive approach adopted by the sufferers, shouting loud for punishment to the culprits and compensation to the victims. The proactive follow-up, however is not easy and out of bound for a common citizen owing to the lack of resources like time, internet, and ability to search and write with evidences to the authorities concerned and then follows-up religiously being done on a periodical basis. To send emails to almost hundreds and thousands of stakeholder responsible for managing the healthcare sector with all evidences as attachments and trail mails, in addition to the related news that makes such instances common happenings all across the country is not a simple task by any standard whatsoever. One need to spend adequate time in researching, assimilating, analyzing, information and then consulting with other doctors and paramedical staff, collating the information and also communicate with the concerned healthcare player, responding to their vibes, requires lot of dedication, commitment and perseverance. The million dollar question is whether it is feasible for a common Indian to fight it out against powerful healthcare brands who wield tremendous influence on everyone, just on their past laurels? There were issues with the synchronization of the healthcare sector with that of the medical insurance services and the insurance sector related matters. However, the latter were resolved smoothly than the former, partly, due to the presence of Insurance Regulatory Development Authority (IRDA). The hospital dealing with the patient could safely cover up their own malaise due to the absence of a healthcare regulatory authority and furthermore, pushed out everything related to insurance to the insurance company, even if meant wrong-doing on the part of the hospital and not the insurance company. The glaring face saving tool due to the absence of a healthcare regulator is evident on the part of the erring hospitals and nursing homes. The ignorant customer has nowhere to do even after his near and dear ones have been killed by the negligent medical treatment. In the case happening with yours truly, it has helped the concerned hospital management to wake up from the deep slumber and take notice, understand the fact that not everybody can be treated in the same fashion and that not all Indian patients and their dependents are anymore ignorant to the healthcare related nuances. Furthermore, they have also understood the power of social media and internet to make such happenings viral within no time, thereby impacting the brand equity and accreditation received from prestigious authorities. At least a momentary respite for the patients in India as the healthcare players would be careful till the pressure is sustained by the sufferer. Whether the particular case like many others would lead to its logical end, where the culprits are penalized and the victims compensated, depends on the seriousness of the state and central government regulators! Only then India can truly classify herself as an emerging nation! Are the state level and central level healthcare regulators listening and willing to act in the interest of the common citizen? 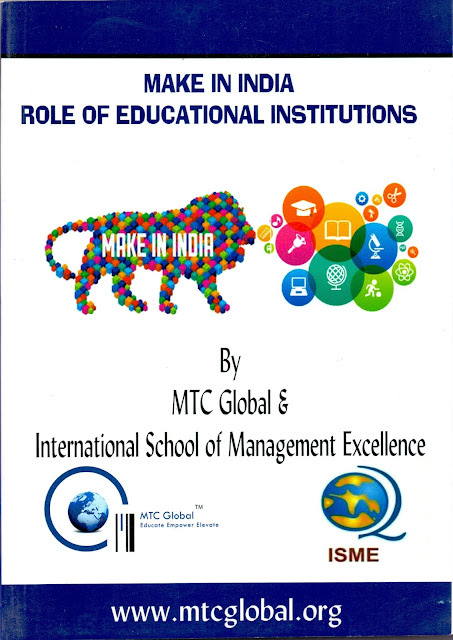 A wonderful book titled, Make in India-Role of Educational Institutions, has been published by MTC Global. 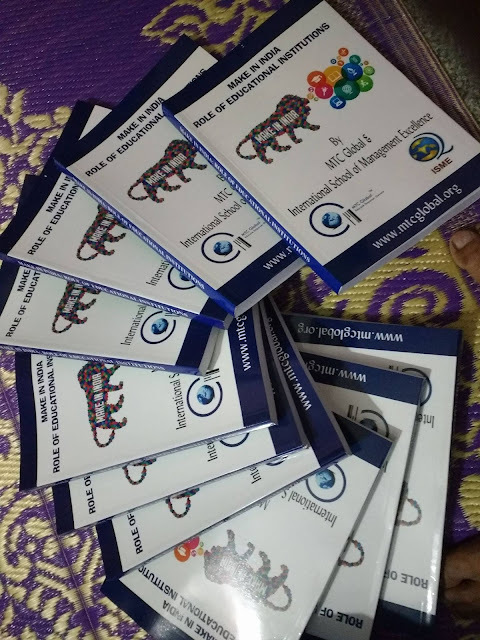 The book brings together academicians to brainstorm and publish different facets of the pet project of the Honourable Prime Minister of India, Mr. Narendra Modi, from the standpoint of Educational Institutions. The role of educational institution is absolutely vital in the whole scheme of things, as far as Make in India is concerned and therefore, the book provides a panoramic view on all the allied areas. Read the book to know more. A research based study titled, "A perspective on the banking industry of Oman vis-a-vis that of the GCC region" has been published in MTC Global Journal of Management and Entrepreneurship, Volume-5, April-June 2017 issue, with ISSN 2231-3710. The article provides insights on different areas of the banking sector of the Sultanate of Oman on the basis of secondary data. 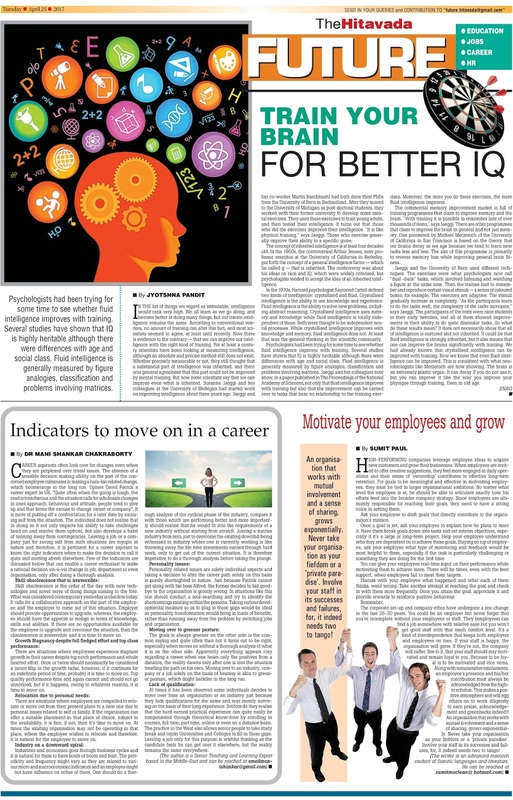 There are other interesting articles in the edition written by experts from different parts of the globe. Read an interesting article published in the leading English Daily of Central India, The Hitavada. 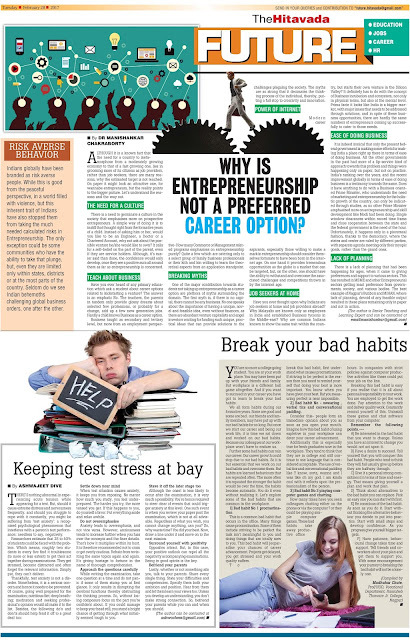 dated 28th of February 2017, titled, "Why Entrepreneurship is not the most preferred career option in India". Suraksha Diagnostic has become a household name in Kolkata. The chain offering diagnostic services, along with certain value added benefits makes the brand a novel one, especially when the modern day patients are in the look out for "everything under the same roof" kind of service provider. Furthermore, the patients of all hues wants quality service in terms of timely service, error free diagnosis and assistance to the segments of patients who are aplenty, viz. senior citizens and those requiring special needs. As far as hygiene is concerned, diagnostics sector is right there in the top. Suraksha, with their punch line Aarogyam Anandam is trying to tick most of the above boxes, and one should indeed compliment the brainchild of this emerging brand in the state of Bengal, Delhi, NCR and Patna, where healthcare and education forms the backbone of the society at large. The case study below presents insights on the basis of personal experience and observation as a dependent of patients, visiting one of the centers in the salt lake area of Kolkata. The patients were being treated by the doctors of a reputed hospital in South Kolkata and the reason for opting for Suraksha, rather than the hospital was the serpentine queue present in the latter. Established in 1992 as Suraksha Diagnostic & Eye Centre (P) Ltd. in Kolkata, we started as one of the first diagnostic centers in Kolkata to provide all pathology and radiology services under one roof. This convenience, along with our unwavering commitment to accuracy and service, resulted in steady growth and popularity. Within 3 years we could confidently open a second Center at Siliguri, in North Bengal, which remains the largest such facility in the region, and today caters not only to patients from North Bengal, but also neighbouring States and countries. Since then we have grown steadily across Bengal, Bihar, and Delhi NCR. Committed to deliver world-class quality, Suraksha’s Diagnostic Centres are equipped with state-of-the-art equipment from GE, Schiller, Beckman Coulter, Siemens, Roche Diagnostic, Biorat D10, Variant Turbo, Biomerieux, Phillips, etc. The technology is backed by high caliber diagnosticians: radiologists, bio-chemists, pathologists, microbiologists as well as skilled technicians. Diagnostic services range from radiology to pathology and histopathology and molecular biology. Suraksha Polyclinics, where specialist doctors can be consulted directly by patients, is another aspect of Suraksha’s service. All Suraksha Diagnostic Centres have an associated Polyclinic. Most polyclinics include super-speciailty clinics for Diabetes, Blood Pressure and Pain Management to provide holistic treatment. It's for you to read and experience and share your experience as part of comments to this blog, which would not only enhance the quality of Suraksha, but would also provide more confidence to all the patients waiting to get diagnosed done at the centers. Sample this, One of the largest logistics player in the Indian Market is DTDC and their punchline is "Delivering Value". Customers in India consider it the leader, even though DHL-Blue Dart a tad expensive is generally a better option and if one considers, value for money, then EMS of Government of India is a better bet, especially after the first hand experience encountered by yours truly while dealing with the top management of DTDC! To become a household name on the basis of sheer determination, especially when the Indian market was shifting from the postal services to courier companies, one has to acknowledge the grit and courage of the DTDC's founders, Chakraborty's (I actually feel proud to share the same surname till this point of discussion, but curse self, subsequently, the reasons you get to know after reading the complete blog) deserves a pat on the back for the same! till date and hopefully in the future (after looking into the nasty approach of the company and never say die approach of a humiliated customer and Indian citizen), one can safely predict that the company's services needs to be boycotted, in light of the unethical business approaches, falsifying and twisting facts, arrogance of the top management, trying to malign Indians, Indian ministers, Indian customers, Indian judiciary, just because they feel being a behemoth in the industry, they can do away with everything. The company is an example of chalta hain attitude is commonly referred in Hindi. If you analyze the communications the customer had with the top management of DTDC and relate with the happenings that had been experienced by the customer, one can conclude the culture of the so called behemoth, is full of "I CARE A DAMN FOR ANYONE" and this reflects the fact that the company has forgot its humble beginning, just because they presume they cannot be dethroned from numero-uno status, as there is no other competitors in India! Well wishful thinking has no ends though! The CMD tendered an unconditional apology, with an assurance to get into the root cause, never to surface again till date. He handed over the mantle to his daughter, who is supposed to be the director of customer complaint and from her approach, her language, way of communication, it is apparent she has an approach of "my way or high way", "care a damn for Indian citizen, for Indian Ministers, for Indian laws"! The company thinks they are good in communicating with a customer via phone or through emails, but as the evidence assimilated by the customer of all the communications that have taken place, so far, DTDC in fact looks silly, as they have a myopic approach into everything. For DTDC it is buying time to cover up mistakes, completely deny blunders saying they are mistakes till the time they are produced evidence showing their stories are good for comics and does not fit into corporate practices and dealings. No wonder so many customers have placed their poor experiences in the web, however, the company knows it very well, people do not have time to follow-up on those complaints to take them to the logical end and therefore, the show of arrogance is evident from the top management. But, they might ignore the fact that exceptions are always there, in the world around them! The daughter of CMD, Arpita Chakraborty Mittra, director of customer complaint is perhaps the best case of a misfit in corporate India, but thankfully her parents being the promoter, nobody can dare to raise their voice against her, at least within the company. However, her sense of immaturity is evident in all her communications, as you can see from http://manishankarthetrainer.blogspot.ae/2016/08/the-dtdc-saga-of-unethical-business.html . I wonder why the researchers and research bodies/companies/media houses do not conduct a study on customer satisfaction for DTDC vis-a-vis their competitors and why no studies are done to decipher the organizational culture prevailing within the business entity. Yours truly would definitely join hands with Indian media houses for such an exercise in the welfare of all Indian Customers, Indian Government and the State of West Bengal. and she makes that a condition to pay back the refund after her company made a mess and a blunder of the business transaction. She throws tantrums and is arrogant, she is never humble and submissive, commensurate with her post, she never verifies with facts, figures and records before communicating with the customer, who has lost thousands of rupees just because of the unethical business practice of DTDC. She is an ideal package of a wrong person, in a wrong job, at the wrong time, only because everything is right about the promoters and she happens to share their genes! is pretty evident from the fact that she does not like to acknowledge her paternal surname, Chakraborty in one instance, and yours truly being the customer on another! I wonder in a professionally managed enterprise, where there is no one from her family as part of the promoting member, she would not even get a job of an executive, leave aside being a part of the top management! the damages done by her company. She is trying to bargain for a refund of the basic amount devoid of taxes (even when all these are not mentioned as part of the billing receipt of the customer), she is trying to remind her father apologized, but is not willing to accept the fact that he disappeared subsequently, showcasing poor leadership skill by the company masthead. 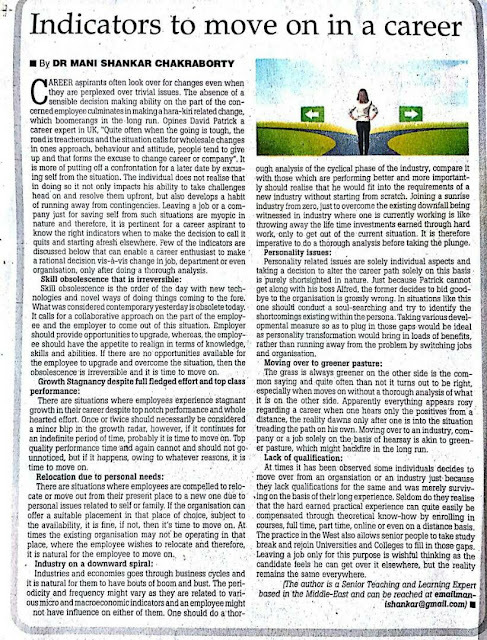 If a father being the CMD runs away by giving the baton to his daughter, the so called director of the company, who is incapable personality-wise to fit into that role, one can safely predict the mindset of the organizational leadership and the culture prevailing within their fiefdom. If one reads and hears the communication of DTDC top brass, their channel partners and their employees and compare with the behavior of the front-line employees, while the latter carries out their day to day task, one can observe the void existing between theory and practice for DTDC. Her (Director of Customer Complaint) conditional based ways of dealing with customers, especially when her company has been caught red handed in every step, while practicing unethical business practices, speaks volumes about the hidden objective of the company promoters. She pretends to be completely ignorant when customer asks pointed questions, after a blunder is committed, where they were not mistakes, but unethical business agenda, otherwise, how can one explain her silence on issues related to mandatory information that needs to be a part of customer invoice, how can one deny explaining the rationale of two consignments sent from same place to the same receiver, reach in six days and another in two days flat! How can one see the standard operating procedure followed in one and completely absent in other? How can they cook up stories which are unbelievable to even an infant in one and does not do it in another? How can the CMD say he is offering unconditional apology when her daughter has put conditions even to return back the minuscule amount taken as delivery charge (devoid of taxes)? How can the CMD categorize fictitious information put in the tracking website as mistakes, when they are blatant lies? The director has finally sent a request to the customer for providing his bank account so that the refund is done on the charges devoid of taxes. One wonders, why should the customer be asked to pay the taxes, when the services provided by the company was of no use to the customer? It clearly shows the moral standing of a company, which is only there to mint money from the Indian market, by hook or crook. The director did not respond to the customers query whether this payment of refund stops him from approaching the consumer court or not, however, the customer made it clear, that since the loss made by the company is huge and DTDC has clearly mentioned they are not liable to compensate the customer, the only way out left is consumer court. Being a customer who is always upright to the rights of the fellow customer base in India, it is imperative for him to spread the message of DTDC experience to everybody through social media, print and electronic media. Let a company like DTDC realize the impact of unethical approaches vis-a-vis their brand image and profitability. It is indeed surprising that DTDC has finally refunded the full money, i.e. 110 INR without deducting the taxes as well, as was being said by director-customer complaints. Probably, the top management has realized the impact the situation might have if at all after being caught on the wrong foot, every time, they decide to deduct the taxes from the customer, for whom, the services was just useless! On one hand, leaders like the PM of India and the CM of West Bengal is trying their level best to make the country and the state as the best place to do business and rope in investments, and on the other such so called behemoths in an important industry like that of logistics are indulging in such unethical practices, where they malign Indians, care a damn for Indian ministers/leaders and does not even bother to consider Indian law with a mark of respect, which are to be followed in to-to. In such a scenario, do you think, India as a country and West Bengal as a state prosper? NO! But, we need to stop blaming the leadership of the country and the states, as it's basically these so called industrialists who are involved in decimating the Indian image, only for their ulterior motives. Their ulterior motive is not to encourage competitors as they know very well, once customers get hold of viable alternatives, they would never look back to such illicit business houses. The punchline of DTDC says, "Delivering Value", but in reality, it is "Delivering Lies, Delivering Arrogance, Delivering Damage, Delivering Care a Damn Approach" to the customers, countrymen, ministers and other stakeholders of business! court proceedings starts, meanwhile stay connected and think A BILLION TIMES BEFORE YOU AVAIL DTDC SERVICES! The incident is beginning to unfold and is pointing towards the fact that even a market leader like DTDC is afraid to accept their own mistake, and they are instead trying to cook up stories one over to the other, just to avoid paying compensation to the customer. A genuine market leader or ethical leader in business accepts their mistake gracefully, compensate and apologize to the customer, and also learn from the mistake, so as to make it a learning lesson/experience. On the other hand, run of the mill companies, try to neglect such issues, thinking it would die a slow death as they are afraid to accept their own mistakes. They see the amount of compensation bigger than the permanent damage the brand name is going to suffer in the age of knowledge, information and technology! In order to read the subsequent developments that happened over telephone, when DTDC officials(Dipanjan-9830057062 (today), 9831947222 (last friday), Arnab Dutta- 03324320231 Moloy Mridha-898106921 in Kolkata, India, called the receiver of the shipment, you should read the emailed communication below, sent to the top brass of DTDC. Till the time of writing this blog, there was two apologies, one from the CMD himself and one from PA to the Director, devoid of any compensation. It is indeed shameful to be a stakeholder for an unethical company like DTDC, which is nothing more than a fictitious entity. The company has built its brand name in the market, only to earn revenues the unethical way. For further details refer to the link below and see the attachment as well. I am sure, it might have reached the top bosses of DTDC, viz. Mr. Subhashish Chakraborty, Mr. Abhishek Chakraborty, Mr. Suresh Bansal, Ms. Arpita Chakraborty Mittra and Mrs. Tapasi Chakraborty. In fact, I am feeling bad that coincidentally, I too share the same surname like that of the company top management. I intend to make it a complete case study and publish in international publications and also approach the consumer court and ministry of commerce and ministry of company affairs, government of India, so that, innocent customers are not duped anymore. It is indeed strange that my consignment sent on the 13th of August 2016 from Agartala to Kolkata has not yet reached the destination. Is this your express service after charging 110 INR? Shall I approach consumer court and also make this experience public through social, electronic and print media? It is indeed a matter of shame for me as a leader of this organisation to read this mail and the content . I am now in Australia and taking the next flight to Kolkata and will personally investigate this case . Looks to me delivery person wrongly updated the tracking and we will go bottom of this case . I am extremely sorry and tendering my unconditional apology and I take the responsibly as head of this organisation . Please allow me some time till I reach Kolkata . I have now tried your India number but it’s not available at this time of the day . I am sure such instances would not only malign the brand image of DTDC, but would also bring down the identity of Indian organizations, especially, when NRI's/Indian diaspora like us are the ones who recommend Indian companies to the expats from other nations. I shall await your fact finding report and the subsequent decision taken pertaining to this incident. I had to bear huge loss for this incident meted out by your company. Yes, my India number is switched off, as my other number is active. We acknowledge receipt of your mail. At the outset, please accept our sincere apologies for the inconvenience caused to you for the delay in delivery of the subject shipment. We have seen the query being escalated to our Chairman Sir and same has been taken care of immediately with the concerned franchisee. Ref consignment was addressed to Mrs. S Roy Das, was wrongly updated delivered on 17th by my delivery boy. But the consignment was delivered on 19th at 5:30PM. As the consignment was wrongly updated my delivery boy attempted delivery on 18th but the door was locked. Kindly forgive me and my delivery boy for this issue, and we promise that this won't repeat again in future. Also, Sir, we have taken this as an important feedback and have taken corrective measures for avoiding the same in future. Once again inconvenience is highly regretted. It is not the question of a solitary minor mistake, it had a bigger ramification, especially when I had to bear a loss of INR 35,000 for this callousness on your part. Moreover, your company had never called up the receiver, if at all the door was found locked. To make matters worse, the real story told by the person, when the receiver called up was that, it could not be delivered on 17th owing to rains! The system recorded it as delivered and also put it as being handed over to the father, when father did not stay at all in that building. The calls were never attended, till the one that was attended on the day of delivery and even the emails went unanswered. This is not a mere mistake, this is a grave intentional error of gigantic proportion and an act that was committed sequentially one over the other, just for the convenience of the company officials/franchisee, forgetting about the customer and his need completely. In case, I am not compensated for my loss, I shall approach the consumer court and also Ministry of Company Affairs and Ministry of Commerce, Government of India and shall also meet the CM at the personal level to share this experience happening in her state. Furthermore, I shall also highlight this as an unethical business practices, all across the world, including India, as I represent that community of professionals. I have procured all the records from your website, as well as possess the record of all conversations that has happened with the company officials so far. In order to substantiate my email, sent a few minutes, kindly refer to the screen shot as attachment of the tracking detail present in http://www.dtdc.com/tracking/K89474961 . I am sure you have reached India and Kolkata. Any updates on the fact-finding status and subsequent decisions on the incident please? Meanwhile, I would like to ask you that there is a new consignment that is to be sent from the same address in Agartala and also to be delivered to the same address as before. Would that shipment also meet the same fate or since I escalated the last issue to the top management, my shipment would not reach the destination at all? Awaiting your kind response please. To add to what I wrote a little while back, I was told by my relative, your Bansdroni Franchisee called her up now, precisely, it was some Arpita Chakraborty. She told my relative that the delivery boy was feeling shy/ashamed to call her when she found the door closed! To this my relative said the procedure is to drop a message on the door when its found closed/locked during delivery and then call up the receiver's number of the receiver of the consignment. Now, that your people have been caught red handed in unethical business practices, they are cooking story after story! One goof up cascading into another, just to protect themselves. Are these the corporate practices of a brand like DTDC? Trust me all these conversation even on telephone has been recorded from day one, including the emails. Is this what your company is all about? Committing blunder and then trying to hide it through ignorance! I will go to the extreme to see that its reaches the topmost in India and to all common public. Its already doing waves in social media, hope you are aware about that! It seems Ms. Arpita Chakraborty asked my relative, when the shipment has been delivered why are we seeking compensation? I dispatched it on 13th August from Agartala, was told that it would be delivered on 16th August as 15th August is a holiday,There was no delivery till 18th, no calls/no contacts made by DTDC, till that time, not even response to my emails/calls and also to those of my relative on the part of your organization. On 19th when I saw in your tracking site, it was mentioned that it has been delivered and handed over to the father, I was astonished! Then my relative called up, and this time luckily the phone was taken and after repeated request and detailing the incident, the consignment was delivered on that evening, followed by cooking up of stories, one after the other. In the interim, owing to this delay, I lost INR 35000, so how can Ms. Arpita Chakraborty say why to compensate when its delivered? She being a part of the management team, how can she say that? Has she forgotten that she is in the express delivery logistics industry and is part of a leading brand? I am really taken aback, but, I won't be silent. I will knock the doors of consumer court, as I have all my evidences and furthermore, start a campaign in social, electronic and print medium to highlight such practices by DTDC. There are many such complaints available online, so I have grounds for a massive campaign to save the poor customer from falling prey. This is not how business is done and you simply cannot take the customers for a ride, just because you tend to be the market leader. It is the customer and the society who made you the leader in the first place. If you think this episode will die down with the passage of time, like many others present in the internet, you are probably wrong! Let me start by marking a copy to the Honorable PM of India and Honorable CM of West Bengal. I'm a little confused with the last two emails, where there is reference to Ms Arpita Chakraborty from DTDC. I'm the only one with that name working for DTDC, so far. And I have not spoken with anyone at the consignee's place. Im taken aback, just like you, that so many personal and professional accusations have been made without verifying any details. Kindly let me know how do I reach your relative who has mentioned these details falsely in my name. I understand that you are upset and frustrated that the shipment did not deliver in time and that, it was wrongly updated on our website. For this, our Chairman himself has tendered his unconditional apology. Also, Ms Paul has informed you on the findings of the wrong update. What other information are you seeking from the Chairman? No one has covered up any mistake , as that is not a value we practice at DTDC. You have been given complete details on why the shipment was delayed and wrongly updated. As for action on the defaulter, we will take it up very sternly, which of course is our internal procedure, and we are not liable to share that with you. Secondly, since the shipment was delay delivered, any compensation if at all due, is the service charged for the courier. Though the service opted was not the Premium Time bound, yet we will consider it as it is our service failure. Third and not the least, in one of your emails you have mentioned how the service failure can bring shame for Indians and Indian companies in Dubai. I agree. At the same time I also notice how some Indians just like many politicians in India, know and show the weight of power unnecessarily. We have accepted our mistake upfront and offered to refund the charge we had collected for the service. Kindly let me know how you would like to collect the same, for the next course of actions and formalities to be completed. The name was told by Mr. Dipanjan,a franchisee personnel from Bansdroni and I quote him, " Madam Arpita Chakraborty, daughter of....... wanted to know...........". so I presumed you are part of the family owing the business. You can refer my first mail where I referred you as Mitra as I saw that in your website. So what I mentioned in my last mail has substance and is not based on imagination. As far as my relatives details are concerned, its already there in the record and therefore, your company has been in touch with the person concerned with different version of stories since the time you were caught on the wrong foot. The CMD has accepted the mistake and he said he would get back to me after reaching India, and once he reaches into the root cause, but unfortunately that has not happened so far. The CMD has accepted the mistake, but he never said it is intentional, and furthermore, all the calls made by your company/franchisee personnel had different version every time there was discussion with my relative, which is perturbing to say the least. Your company executives said you wanted to know, why should there be a compensation when the shipment has reached? How and what situation led to the shipment reaching the destination is never discussed by your officials, which is absolutely bizarre! The delivery boy himself said he did not come, then how did Mr. Dipanjan say that he found the door locked? If the door was locked why was no message sent or even no calls made to the receiver? Are these not the standard operating procedure of a logistics player? It was the receiver who initiated the receiving process, in spite of the fact that the blunder was done by your company, but still every time an executive spoke they are harping on the episode that the delivery boy came, but he was ashamed/shy, another version said it was raining so he did not turn up (and it was moloy himself the delivery boy who narrated this episode) and then on the top of it, it was put in the tracking details as being delivered to the father, when father never stayed there! This the CMD said was a mere mistake! Was this is a mistake or an intentional blunder at the cost of the customer? The consignment was supposed to reach on 16th August as was told by DTDC officials in Agartala, it reached after a delay caused by the company and that too when the customer himself woke the company up from the slumber. In the process, I lost 35000 Rs. Who is going to compensate me for that loss? Was it my fault like many others to trust brand DTDC on promise in delivery? Now, after all these happenings, you are showing an arrogance oriented refund of 110 INR, when I lost INR 35000 for DTDC! And you are saying you follow corporate principles in the true sense and that you have accepted your mistake upfront! If that would have been the case, DTDC would have knocked the door with an apology, there would not have been any need for the customer to wake up the company that too when things were cooked up so badly, after a major blunder in the service delivery process. To equate citizens and politicians in bad light speaks a lot about your approach towards these stakeholders, as being a corporate entity, you should not forget they form the backbone for any industry and organization. It also speaks volumes about the organizations psyche towards people in general. I am indeed surprised to note such a statement from the top management of a leading company. You can refund back the money to the receiver in person, however, I would still seek compensation for my loss of 35,000 INR for the gross negligence on the part of your company. The courier charges minus taxes will be refunded to the sender of the shipment, as full and final settlement on the subject shipment, as soon as formalities are completed. That's your final settlement, I will progress with the matter, in light of my losses to the tune of INR 35,000, and more so, when you have maligned my fellow Indians, customers and also our country's leaders, JUST TO COVER UP YOUR COMPANY'S WRONGDOING! Now, when you deduct taxes, what would be the basis as the customer has the right to know the complete break-up of the amount he pays to seek a service or buy a product, Moreover, transparent organizations make it a point to mention it in the bill, which you haven't done as per the regulations. What is the status of your formalities pertaining to the case? Information has been sent to the booking office to try and contact sender. So if you have their contact, do share with the us, so that they can fill up the necessary papers and initiate the refund. Its ridiculous to say the least! I am the sender myself, don't you check the records, before mailing/communicating. Last time, you were confused about your name as well in the same fashion! You can contact Mr. ML Chakraborty my father on 0381-********* or 9*********. I would repeat my request to send me the tax related details as had been our talk a couple of days back, since no such details was given in the payment receipt and especially when you mentioned to deduct the taxes. As a customer, I have the right to know that and also why it was not part of billing receipt. Sorry for being confused about you being the sender. Various communications had led me to assume that you were residing in Dubai and shipment was sent from Agartala on your behalf. Booking rates are given inclusive of all taxes for simplicity of rate structure. In any case, the only tax in the transaction is the service tax set by and paid to the Government of India @15%. We will surely get in touch with your father. Does he have the shipper copy of the Airwaybill? That will be required for raising the refund claim. All my emails categorically mentioned that I am the sender and it was done by me while I was in India. The records at your end also showed that. The break-up of the rate is not mentioned in the payment receipt provided by your Agartala office and the regulatory requirements makes it essential to provide an itemized bill to the consumer. My father does not have the shipper, its with me and I am sure you would not ask for that, especially when your company have had enough goof-ups done till date. 1. It is not necessary for us to give a breakup of charges. It is clearly mentioned on the airwaybill that the rate is inclusive of service tax. However if anyone wants to know the breakup, it is available in all the counters, or one simply needs to ask for it. It's not a secret, that a service provider will charge service tax. 2. If the shipper copy is not handed over to us along with refund request, the process cannot be initiated. 3. In case the sender is not willing to take the refund offered as the full and final settlement of the case, then the refund will not be processed. 4. For delayed delivery, DTDC, as the service provider owes back the charges collected for the service only. We are not liable to compensate for any consequential losses claimed. Given the above facts and the email below, we will be forced to withdraw our refund offer as you are not willing to accept the offer. In case you change your mind, do let us know within next 2 working days, post which the offer will be closed. (1) What do you mean by it is available in the counter, then why did you print the receipt with provisions for tariff (FSC and ST), Risk surcharge, service tax and then the total amount (A+B+C), Why should the customer ask for all these when they are mandatory information as per the laws of the land, or as you have abused Indians and Indian Minister in one of your emails, do you also care a damn for the Indian laws as well and think being a logistics behemoth you think you can cover up? (2)The shipper copy is being attached with the email. Now let me say, that this incident was brought to light by the customer, after the goof-up was made by your company. It was the receiver who spent the money and time and followed-up and then, when facts were provided your company realized the mistake! In spite of cooking up stories, there were apology saying it is a "mistake" and then after a long exchange of emails, you offered the refund, not on your own, till it was clear beyond doubt its DTDC who have done it. The company could have done that in the first mail itself rather than making verbal apology, saying they will find the root cause, not to come back with an explanation, again, till the customer pinched DTDC. It shows, even though you were caught on the wrong foot, you were not ready to do the refund. Secondly, where does it say, that the refund is to be paid devoid of taxes, especially,after the useless service is of no use to the customer, especially after he met a loss of INR 35,000 and top it up all sort of covering up approaches and arrogance by the DIRECTOR OF CUSTOMER EXPERIENCE is being displayed. You are not doing a service by refunding, you are trying to do a consolation. In fact the unconditional apology the CMD made in his first mail and then disappeared from the scene by handing over to her daughter, turns out to be conditional! Therein lies another aspect on unethical business dealings by DTDC. (3) No where, the customer said he is not willing to take the refund, again this was your hypothesis, like you did with your name, then with me being the customer. I only said, I will approach the consumer court and if the court gives a verdict, you are liable to pay, but from your response, it is evident you care a damn for Indian laws, Indian judiciary, as you could have said let the law take its course and we can defend too, but you have rather proactively said, DTDC is not liable to pay! It shows your arrogance towards Indian Laws and Judiciary, after Indian Citizens and Indian Ministers. No worries, every single communication is recorded till date. The slip has also been attached, for the refund process. How can you fix the deadline as next two working days, especially when the fiasco was caught by the customer when your company was sleeping after doing what no logistics player does intentionally, and when it was the customer who initiated you to talk about the refund, and also it happened to be the customer as well who initiated the process of the status of the completion of inquiry today? HAS YOUR COMPANY PROACTIVELY SENT ANY MAIL OR MADE ANY CALLS DEVOID OF THE CUSTOMER WAKING YOU UP FROM YOUR DEEP INTENTIONAL SLUMBER AFTER COMMITTING BLUNDERS ONE AFTER THE OTHER? I am telling you yet again, you refund me the amount along with the answers of the queries posed, I shall still knock the doors of law for compensation and let me see whether, its the arrogance of a company like you, who care a damn for customers, citizens and Indian politicians,Indian law prevails, or it is the right of the customer, especially when the company is involved in such a humongous misdeed and is trying to cover up initially through stories and later on through arrogance. No wonder there are so many pending complaints on DTDC in the web, but, I am not going to add up to that list and see that the issue meets the logical end at the earliest. Please ask your company executives to call my father and proceed there, so as to avoid not finding him and then starting the whole episode like this one, yet again. Another piece of evidence of your company defaulting last time on Standard Operating Procedure (see attachment) when a receiver is not available at home was done today, hopefully the delivery will be done this time, on time, i.e. today itself! Also note the tracking details this time in your website (see attachment) and compare with the last time, can you see how DTDC goofed up big time, last time? Fortunately no "father" this time round! Can you now believe the amount of goof-up done last time round and on the top of it you being the DIRECTOR OF CUSTOMER COMPLAINT display arrogant attitude, malign Indians, Indian Customers and Indian Ministers? Indeed Shame on such Company Promoters! There has been a delayed delivery of the subject shipment & lack of information to that effect passed on to you. We have accepted our fault & for this service failure, we have tendered our apology & offered to refund the charges taken for the service. Our Chairman himself has apologised to you. But all our efforts are being taken for granted & you choose to continue to make personal remarks & drag the matter beyond any logical solution. FYI: The phone number given in your email had been contacted earlier today & we were told that the shipper copy is not to be found & he will inform if he finds it. You have clearly stated your intent to seek compensation beyond the refund of service charges. Ideally in that case it does not qualify for any refund at all. If any goods/service is procured & then return/refund is sought, the receipt (in this case Airway bill copy) has to be presented & after receiving the refund of the charges, there cannot be any further claim on the same. Since you are unwilling to take the refund offered, as full and final settlement, the offer stands null & void. I have only offered to give 2 extra days in case you change your mind. How did it reach in two days today when it did not last time round? What about service delivery process, standardization of services when you are the so called leaders in India? It could have been one day more last time, not so many days, so you get me what I mean? The monumental error DTDC did to me so that I have to bear a loss of INR 35,000 and then your communication and attitude is what I have to accept? No way! Where did I say I changed my mind? It is clearly written that I want the refund that's why I sent you the receipt through email sometime back! Why are you now twisting my statements like you did with your name and me being the sender? Do you mean to say, I cannot approach the consumer court even if you pay me the refund? Is that what you are trying to say? Please make your statement clear, as I HAD SAID AND I AM CLEARLY SAYING EVEN NOW I WANT THE REFUND AS I DID IN MY LAST EMAIL! THAT IS THE REASON I SENT YOU THE RECEIPT! You did not answer my queries on the billing related information, as a customer, I am supposed to know that and I have the right as well to know that! Now after bearing all the nuisance of your company, tantrum of yours as so called DIRECTOR OF CUSTOMER COMPLAINT and after sending you the receipt as well, and even after DTDC contacted my father, if the refund is not paid, that would be the perfect finishing to the episode of how DTDC fakes up everything through words, forget about the punchline of the company as "Delivering Value", they only know how to "Undervalue Customer, Undervalue Countrymen, Undervalue Ministers"! These are not personal issues, these have been your statements, your company's actions and these are all on record. I will just wait and watch when you finish the refund!!!! As per your confirmation and acceptance of the refund as a settlement to the subject case, we will process the same. Kindly share your bank details where we could transfer the amount. Nagpur, Maharashtra, India. Please send a confirmation once its done. We request your confirmation of receipt of Rs.110/- towards full & a final settlement for consignment no. K89474961 booked on 13-08-2016 from Agartala to Kolkata. We once again would like to assure that at DTDC we care for our customers & requesting your continued patronage at all times. I just checked the account, its yet to be credited. Furthermore, I want to add that its a refund of the service charges, as the service was not delivered as per the assurance, which included many issues as well. The loss was therefore huge and the same has not been compensated by your company as the director refused saying, "DTDC is not liable to pay the damages" that has happened due to the company. As, I have mentioned in my emails earlier, full and final settlement includes the compensation too and therefore, as per my earlier emails, I shall proceed accordingly, with all the evidences I have gathered from day one. Please refer to the email sent to your director-complaints which details the account related details and please check whether you have credited in the same account or not. We have transferred to this given bank account details only, cross checked with our Finance team too. Request you to recheck once again - it might have credited to your account by late evening yesterday or early morning hours of today (30th Aug-16). Kindly reply to this confirmation of receipt. Yes, it has been done. 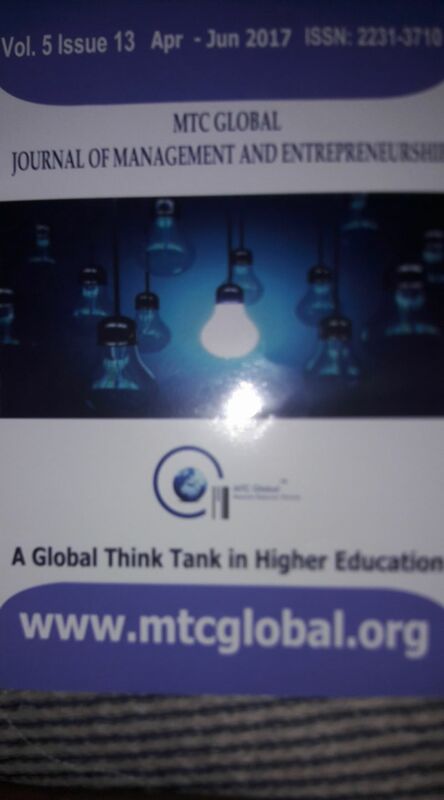 Objective of this blog is to disseminate free knowledge on management and business to all the stakeholders and does not intend to hurt anybody or disobey any rules and regulations formulated by governments and organizations.The blog intends to help one and all in their personal and professional domains by providing solutions so as to manage life better. Blog posts are strictly the work and the opinion of the author and in no way reflect the position of any employer,university,human being, country or even organization. I don't mind if you post my writings on other sites/newspapers/magazines/journals, but please give me due credit by quoting as reference. And if I've posted something over here and you feel I didn't give you due credit, please drop me a line at maniisonline [at] googlemail [dot] com so that I can rectify it. Thanks! © 2008-2017 by Manishankar in Asia. All right reserved. Definition: The boundary of a specific area. Welcome to the fascinating world of management training, management consultancy and soft skills training! Once you start to dwell on these topics, I am sure its going to create that much needed change you were looking for, both in your personal and professional life. In order to succeed at both the levels, managing change is the only constant. It is therefore important to align with the alterations taking place in the personal and professional landscape. I try to leverage my experience gained while working with leading organizations like Asian Paints, Cipla, ICFAI, KH, ICT along with my other my capabilities, whenever I am involved in training and consulting with my clients.My area of interests include Marketing Management, Human Resource Management,Strategic Management and Soft Skills. This blog offers free management learning to all the interested knowledge seeker. All Rights @ Dr. Manishankar Chakraborty. Awesome Inc. theme. Powered by Blogger.